We have 100 free CLT tests for April 17! Sign up and pass the word! Tests will be given at Life Christian Academy, Harvest, AL! The students (grades 9-12) get college scores and we get to be a part of the data to help persuade the regional colleges to accept the CLT. 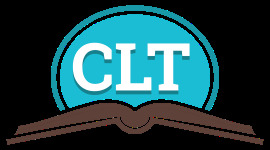 The CLT is in line with a Biblical worldview, based on classic training and not the current educational agenda. It is 2 hours, given on the student's laptop or tablet and students get same day results.